By Thomas Martin, EdibleDC Contributor. Photos and styling by AJ Dronkers, EdibleDC. Tröegs' Crimson Pistil IPA pairs well with summer fare such as corn on the cob and freshly made tacos. If the recent wave of heat has you beat, don't fret! Tröegs Independent Brewing has crafted an IPA perfect for easing your summer woes. The Crimson Pistil IPA is brewed with hibiscus flowers, lending it a tangy berry flavor with notes of passionfruit and grapefruit zest. The ale was designed specifically to cater to a summertime flavor palate. 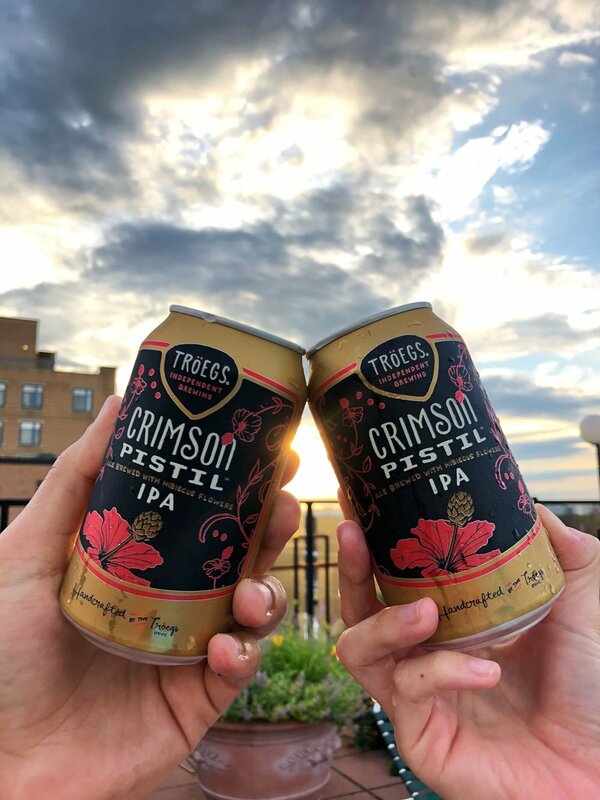 By utilizing Tröegs' lovely "food notes", we created a menu for an outdoor meal that complements, contrasts, and enhances the Crimson Pistil's distinct flavors. Our team had a great time preparing the meal, which was simple to make, but incredibly rewarding to devour. The centerpiece of the meal were jerk chicken tacos made from tender chicken thighs with jerk seasoning. The chicken's peppery flavor complemented the mildly sweet tang of the IPA. Jerk chicken with soft corn tortillas. For side dishes, we paired the ale with grilled ears of corn topped with feta and harissa, as well as a watermelon-mango-feta fruit salad. 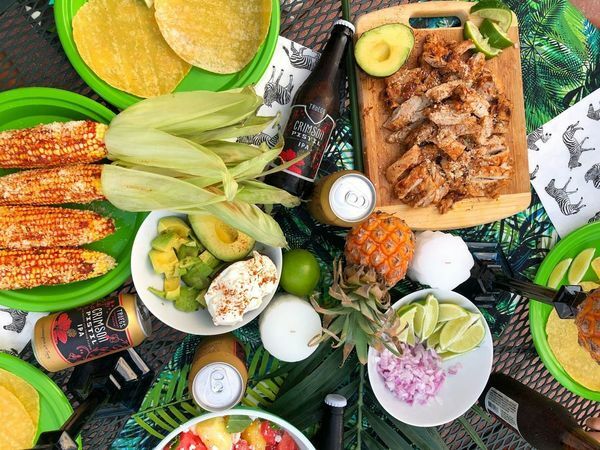 The watermelon was a perfect foil to this IPA, much like the jerk chicken, but the corn and the corn tortillas were chosen for their contrasting flavors. The meal made for a delightful afternoon spread bursting with vibrant colors and powerful flavors. 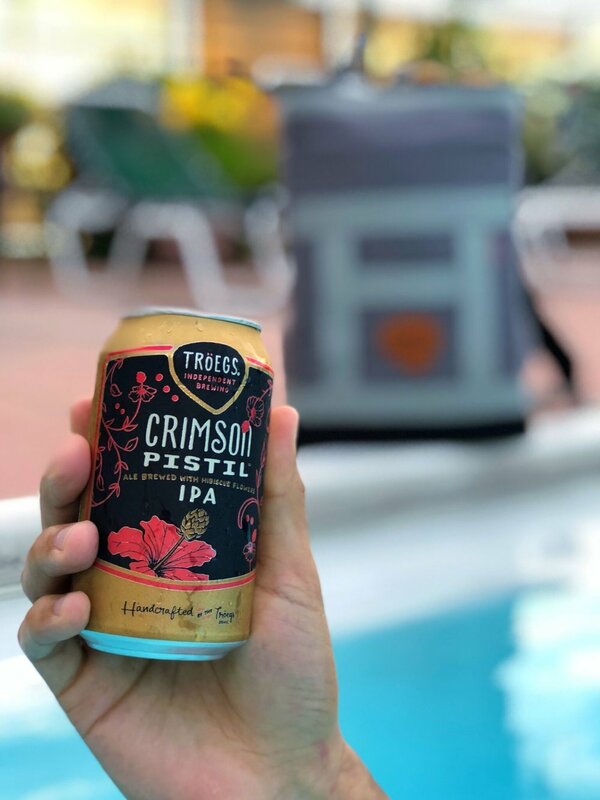 Be sure to make Tröegs' Crimson Pistil Hibiscus IPA the centerpiece of your next summer cookout. Consider the 4th of July! Tröegs has the red covered—use your creative side to craft something white and blue for a truly patriotic feast!